It never ceases to amaze me how most people know exactly what pesto is yet when you mention the term pistou, it’s blank faces all round. This no-nut French cousin of pesto is just as delicious and even easier to make. 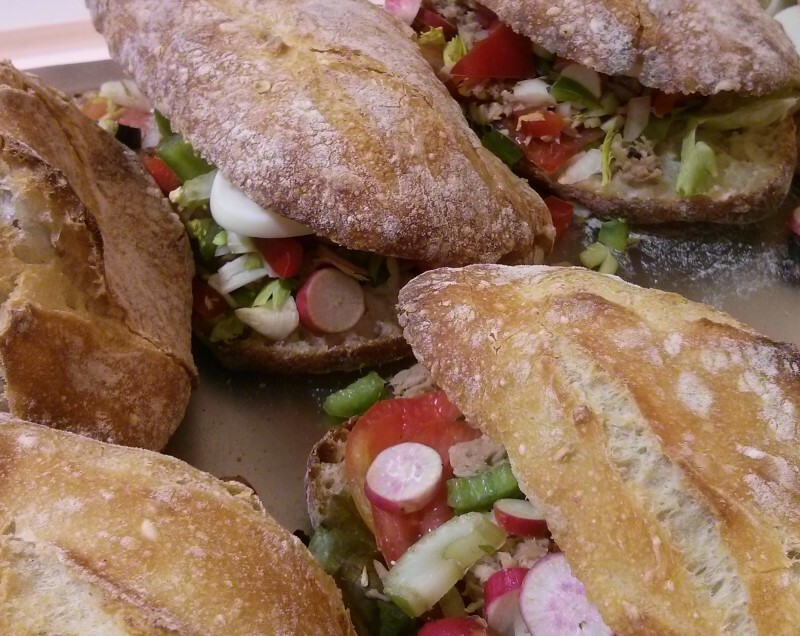 No toasting of pine nuts required here. So, as pistou forms one half of my blog’s title, I thought it was about time we did it justice and featured its many attributes in a post dedicated to this most provençal of accompaniments. Commonly associated with the dish soupe au pistou, a hearty, chunky vegetable soup which will feature on this page soon, pistou uses basil as its flavouring as does the classic pesto, but there tends to be more cheese and garlic than you would see in the Italian version. 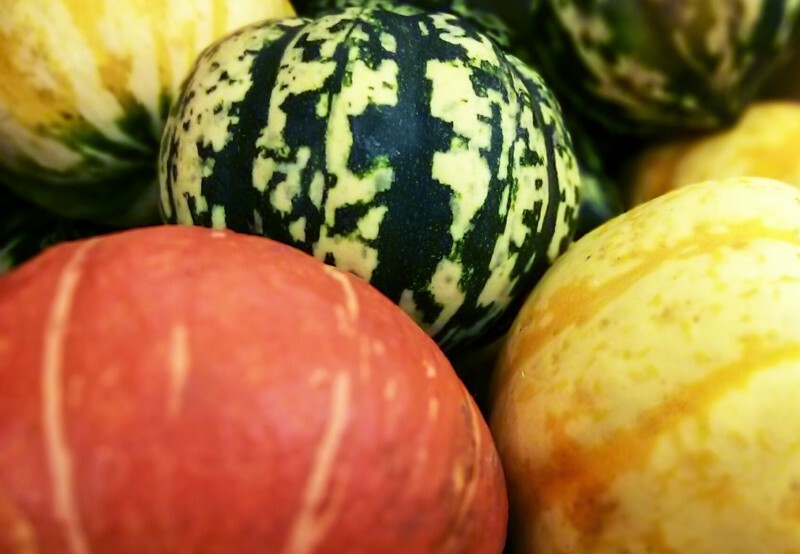 Just as recipes for pesto nowadays use all manner of herbs and nuts, I’ve gone for a sage pistou here as it’s a great match with autumnal courges (squash) many varieties of which seem to be on display everywhere I look right now. If you want to stick with basil for your pistou, just use twice as much as I’ve quoted for the sage in the recipe. Regardless of your choice of herb, pistou comes with a warning: it is very garlicky, so use a little less than I’ve recommended if you’re anxious about it. Traditionally made in a pestle and mortar, this recipe works just as well in the blender and frankly I suspect you are more likely to try this quicker method at home. 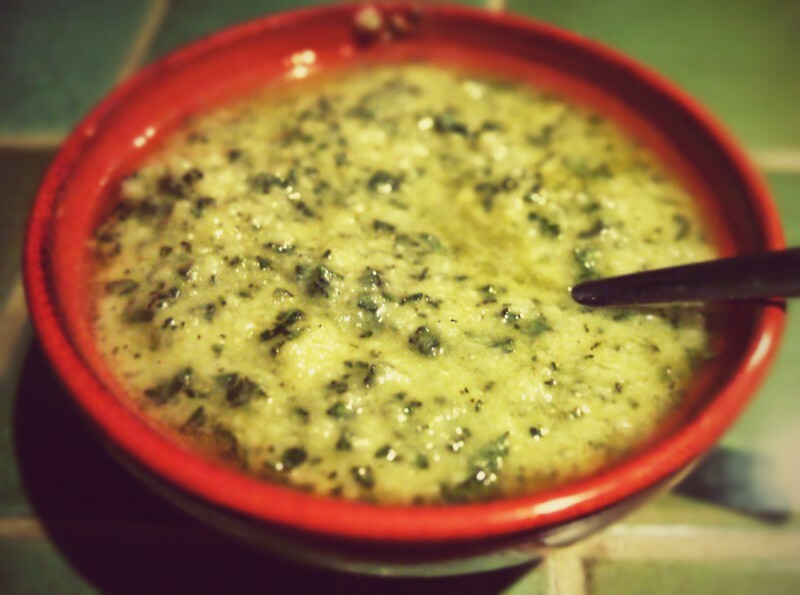 As with pesto, pistou is to be added to hot soups and pasta and should never be cooked on its own. The sage pistou is a great match for the green gnocchi in my last post and would be lovely drizzled over just-out-of-the-oven, roasted autumnal vegetables. 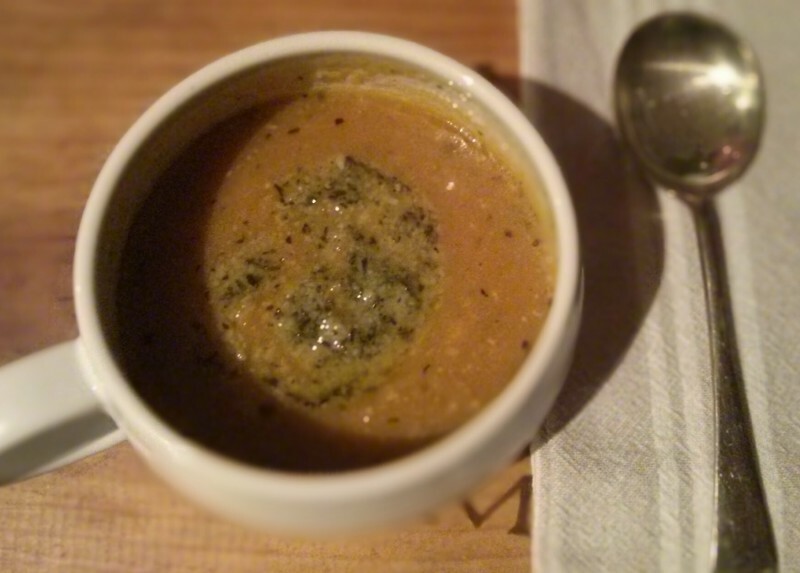 Or why not stir a generous spoonful into a homemade pumpkin or squash soup? Not quite soupe au pistou but warming and satisfying all the same. Place all the ingredients in a blender and whizz for a few seconds until everything is combined. Taste and add more salt if necessary. The sauce will keep for a couple of days in the fridge or longer if you cover it with a thin layer of extra virgin olive oil. 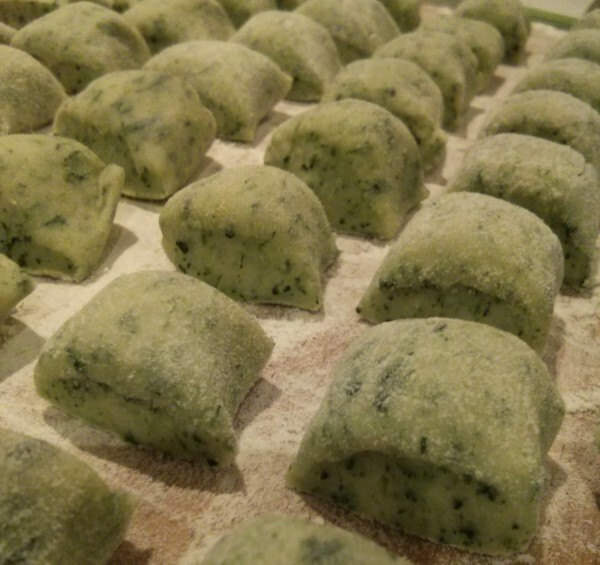 La Merda dé Can is the niçois name for these gorgeous, green gnocchi made with swiss chard or spinach. The literal English translation of the term will not be repeated here as it’s less than flattering, but I am sure you can work it out for yourself. 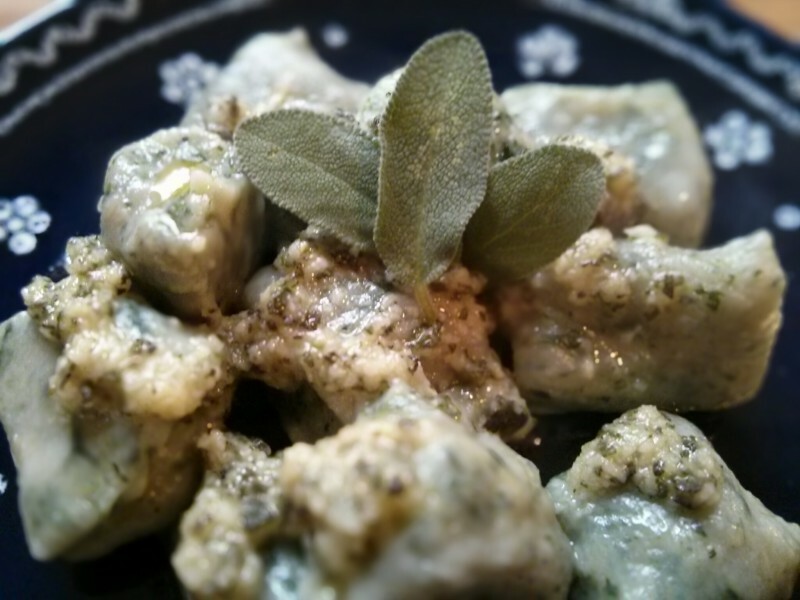 Now, soggy gnocchi equal stodgy gnocchi so experiments have been many in our house – my family is very patient – in the pursuit of a foolproof recipe for the light, elegant parcels I have many a time seen for sale in Vieux Nice. The principal ingredient is potatoes and they should be the floury variety. Boiling them in water, the traditional way, adds moisture of course and they need then to be dried out. A lot. No amount of sitting the cooked potatoes on a bed of salt, as some recipes suggest, does the job quite as well (for me) as baking the potatoes in their jackets. Not conventional, I hear you scream but it works every time. 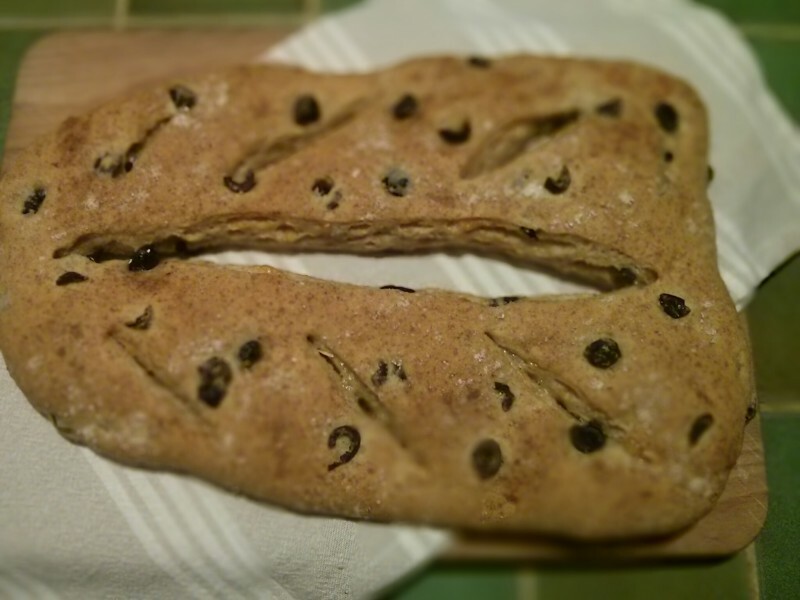 And anyway, this blog is about investigating and not simply regurgitating old recipes. To dress the just cooked gnocchi, just scatter some grated parmesan and add a drizzle of your best extra virgin olive oil. It’s traditional to serve them with the juices from a beef daube in winter or, in summer, with a fresh tomato sauce. If you’ve time to whip up a pesto or pistou to top these beautiful pillows of fluffiness so much the better, and a white wine from the Luberon, as an accompaniment, will finish things off to a tee. Wash and dry the potatoes, prick the skins and place in a preheated oven at 200°C. 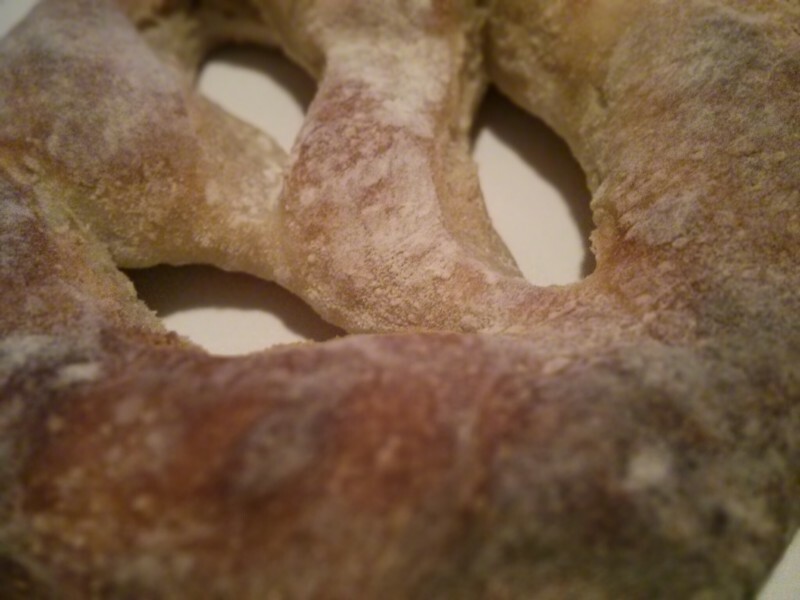 Bake until the skins are crisp and you can stick a fork into them easily. This should take about an hour. Wash the chard or spinach and remove any thick stalks. Place the leaves in a saucepan and add cold water, not to cover the greens completely but just enough to cook/steam them. Put the lid on and bring to the boil on a medium high heat, watching them regularly to ensure the water doesn’t boil dry. Once the greens have wilted, which will take 5 minutes or so, remove them from the heat and drain in a sieve. Leave to cool. Then squeeze the moisture out of the greens and set aside. Once the potatoes are ready, take them out of the oven and leave them to cool a little before scooping out the flesh and mashing it. 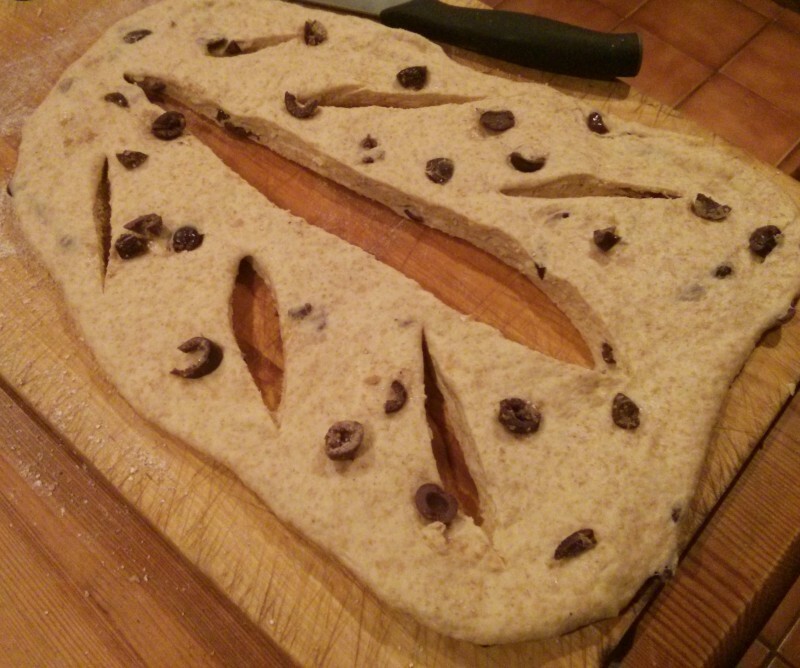 Allow to cool a little more before mixing all the ingredients together to form a soft dough. Sprinkle a dusting of plain flour onto a chopping board and shape small handfuls of the dough into long, thin rolls about the thickness of your thumb. Cut the rolls into 3cm cylinders and leave to dry for half an hour or so, covered with a clean tea towel. 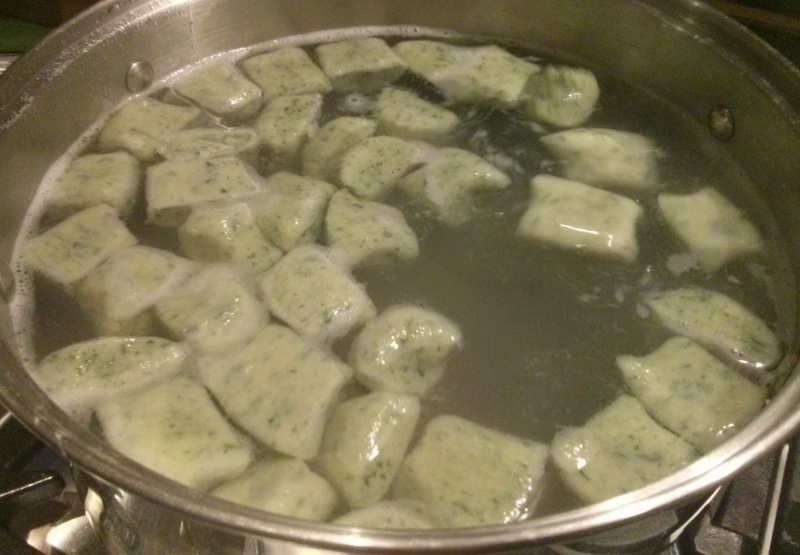 To cook the gnocchi, bring a large saucepan of water to the boil, add the salt and drop them into the water. When they rise to the top, they are ready. This takes two to three minutes. Drain the gnocchi and serve immediately with your choice of delicious adornment! Unused gnocchi dough can be kept quite happily in the fridge, wrapped in film, for a couple of days, but do give them a good dusting of flour when you roll them out as they can become a little sticky.